We’re Going to Need Some Bigger Guns! With the Player Select giveaway finished we’re on to the next one, featuring one of our all-time favorite series: Gears of War. 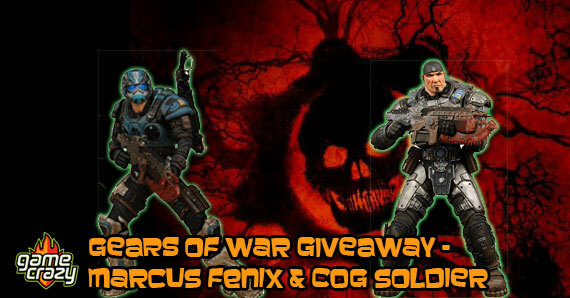 NECA has provided us with some of their awesome figures from this franchise, including the original Marcus Fenix from the first Gears of War game as well as a rare COG Soldier. 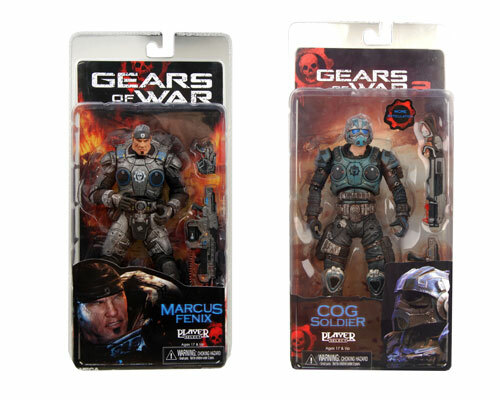 While we’re on the subject of amazing GOW figures, be sure to check out the newest Baird figure from Gears of War Judgement, coming out in March! Marcus Fenix established himself as a hero during the Pendulum Wars. He was on the fast track to an outstanding military career — until the monstrous Locust Horde emerged from the underground. Now leading the Delta Squad, he simply fights for survival. Marcus stands 7″ tall, has loads of articulation, and comes with Lancer and pistol accessories. 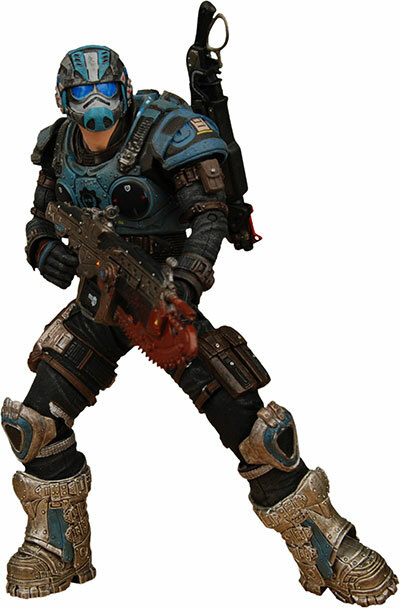 The Coalition of Ordered Governments (COG) Soldiers are the only force strong enough to resist the subterranean monsters known as the Locust Horde. Armed to the teeth, they fight to ensure the safety of mankind. 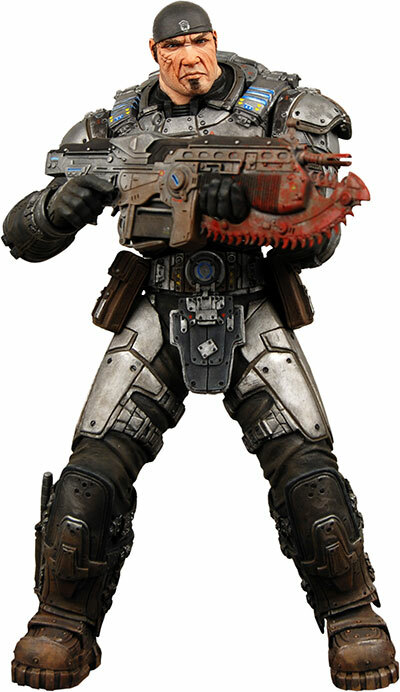 This highly articulated 7″ scale Cog Soldier comes with Gnasher Shotgun and Lancer accessories that can peg to the figure’s back. 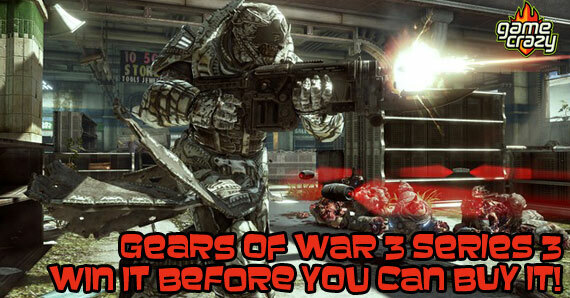 In order to win this set of Gears of War figures you must answer the trivia question. If you want to gain even more entries you can get an advantage with Facebook and Twitter. 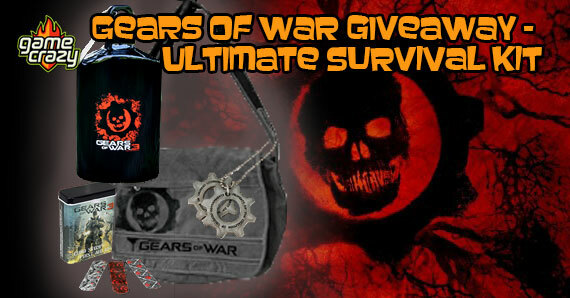 If there is a prize you would really like to see in our future giveaways, let us know. It might just be up next! 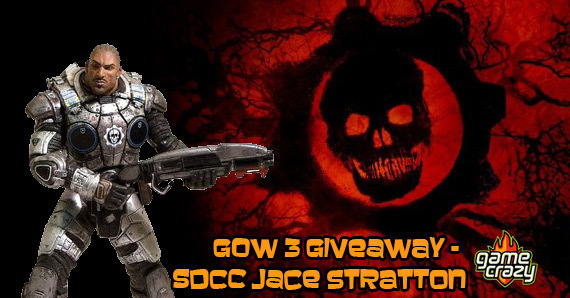 This entry was posted in Contests & Giveaways, The GC Blog and tagged gears of war action figures, gears of war giveaway, gow giveaway, neca by summerm. Bookmark the permalink.